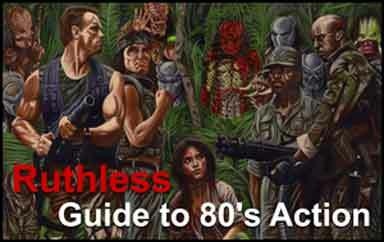 One of the best things about modern gaming is the sheer variety on offer. If you can imagine it, you can probably play it, for better or worse. Part of this is due to the lower barriers to entry which have occurred because of better creation tools, and a healthier development infrastructure, and part of this comes down to the easily manipulable and under-regulated storefronts so well illustrated by the likes of the shadier parts of Steam. The game, the myth, the should have remained a legend. The development of this first-person shooter was a rocky road, to say the least, and by that, we do not mean delicious. Originally announced in April of 1997 for the Quake II engine, Duke would go on to enjoy an enormous amount of delays. Suffering from a changing of engines and studios being shut down, Duke Nukem Forever did not actually release until 2011, a development time of 14 years. Unfortunately, time was not kind to Duke, as the game had effectively become a running punchline in the gaming industry for years, and would really have to do something special to make up for this status. As it turns out, calling the game average would have been perhaps too great a compliment. While this might have caused us to believe that a long-delayed sequel might not be realistically possible, the recent DOOM has shown Duke that it can be done, with the right team. That right team being not Gearbox Software. The takeaway for most players? DNF should have followed its initials. Released on mobile devices in 2013, Final Fantasy All the Bravest was released to a fan base suffering from the slowing release schedule of the main Final Fantasy series. Unfortunately for fans, the game was, how to put it, bad. Seen as a cynical cash-grab not only devoid of fun but devoid of an attempt to even be fun, FFATB was critically panned as indicative of the lowering Square-Enix standards, eventually settling at a 25/100 score on Metacritic. After all, detractors argued, if people want to play casino games, they can actually play the best casino games online, which are actually fun and have a lot of variety to offer. This, rather than unloading over positive memories like FFATB so gleefully did. Another entry, another opportunity to make fun of Gearbox Software. 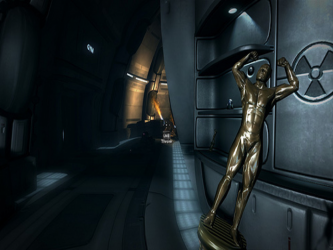 Fresh on the heels of the long-delayed DNF came a similarly long-delayed Aliens game. Touted as the canonical follow-up to the Aliens story, there was a lot of hype for this one, especially owing to the pre-release media and interviews. CEO of Gearbox Randy Pitchford bloviated about just how much effort was being put into the game, how it was receiving all of their attention, and how it would finally be an Aliens game to measure up to the films. As it turns out, Randy Pitchford was what we in the snake-oil industry call a very honest man. Crippled by poor performance, terrible AI, and actually inferior to the pre-release demos, ACM was the latest in a long line of examples as to why Gearbox could never be taken at face value. Sim City was always a classic in PC gaming. Sure, as kids we might not have understood how it worked, but we still loved building enormous and unsustainable cities and then flooding them with disasters. As a genre, city building and management games were having a little bit of a difficult time around 2013. While the prior SimCity games were successful, they were also contrary to the much tighter grip which EA desired over their acquired property. If you know EA then you might be expecting them to pull an EA, where they purchase a studio, force them to create a sequel in a way which runs contrary to what made the originals so fun and successful, and then tear the studio to pieces once the eventual product ends up as a disappointment. If you are one of these people then we would point out that you are one hell of a cynic. We would also point out that you are correct. 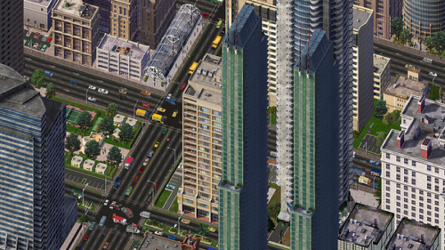 SimCity 2013 was stripped of many features which made the previous game great, forced smaller cities than ever before, and required (their words) a constant online connection to make the games logic function. The game was terrible, the servers were unreliable, and, as it turns out, the online was not required at all, and could be turned off without issue. The alternative? The much better and still fantastic Cities: Skylines. As a subjective hobby, it can difficult to really pinpoint exactly where the biggest failures in modern gaming come from, but we’re quite confident that these examples are of little dispute. What are the biggest disappointments in your gaming history, and what would you like to see more of in the future? Remember, being vocal can make a difference in gaming, so speak up, and speak loud. Just try to be more respectful than Pitchford. Nobody likes a liar, Randy.